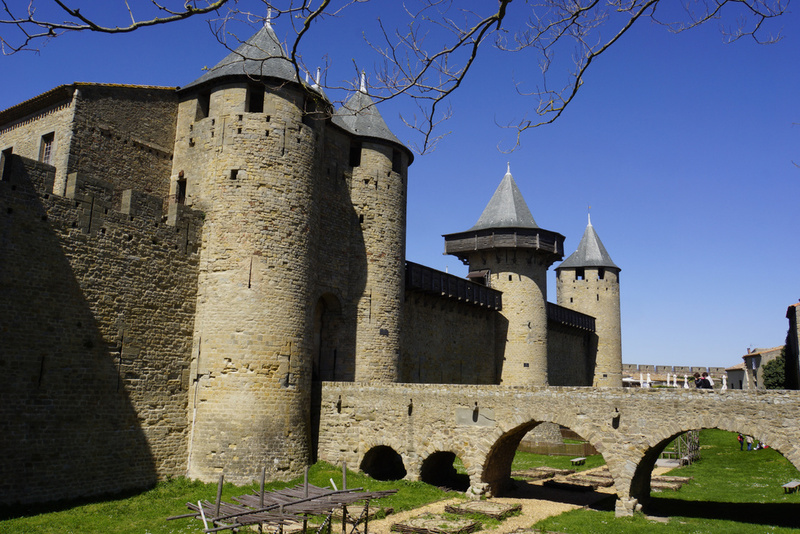 The largest walled fortress in Europe, Carcassonne will definitely be one of the highlights of your stay in Languedoc! 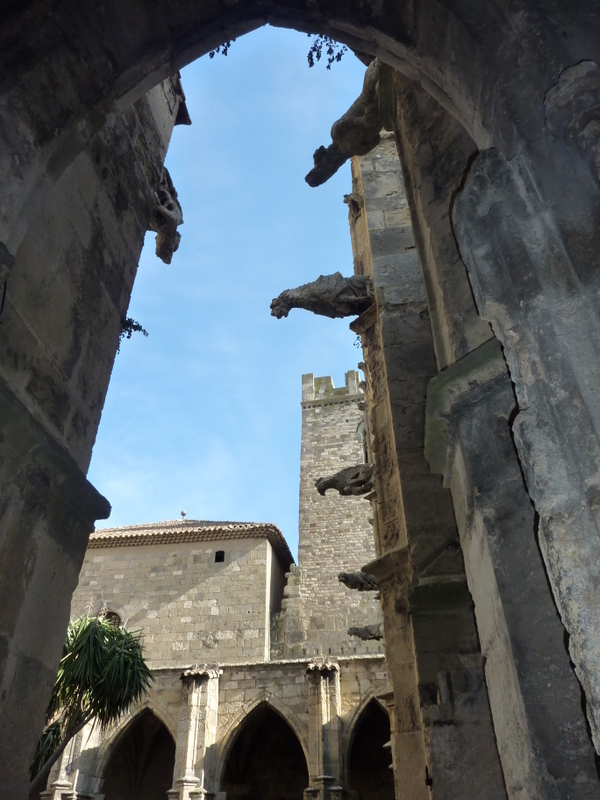 As one guide book says – “Carcassonne is the Middle Ages come to life”. 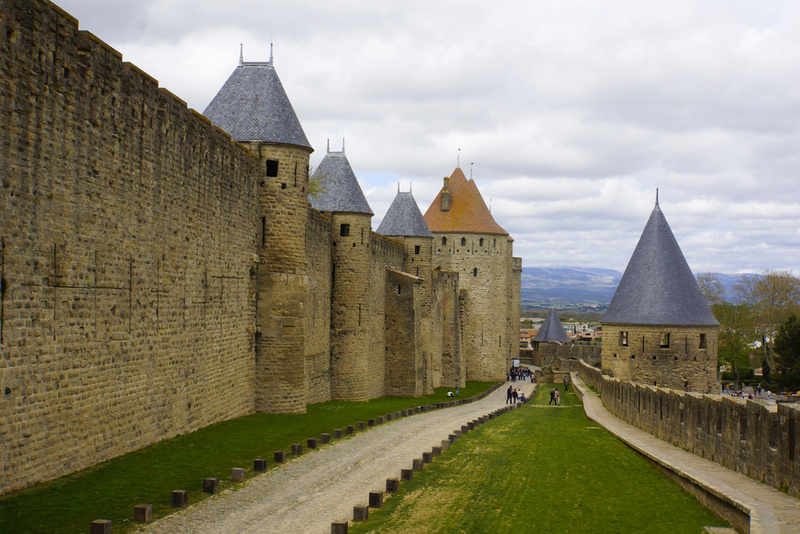 Carcassonne’s turrets, towers, ramparts, château, moats, and passageways are all here to explore. 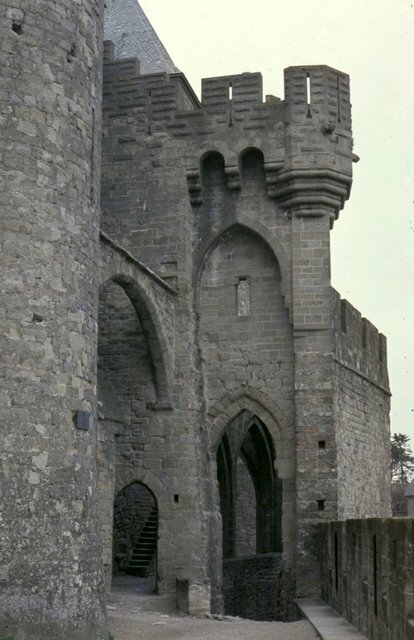 The walls themselves tell their own story, as you see, from bottom to top material and architecture from the Romans, to medieval times to the 19th century restoration. In the 12th century, it was one of the power centres of southern Europe. 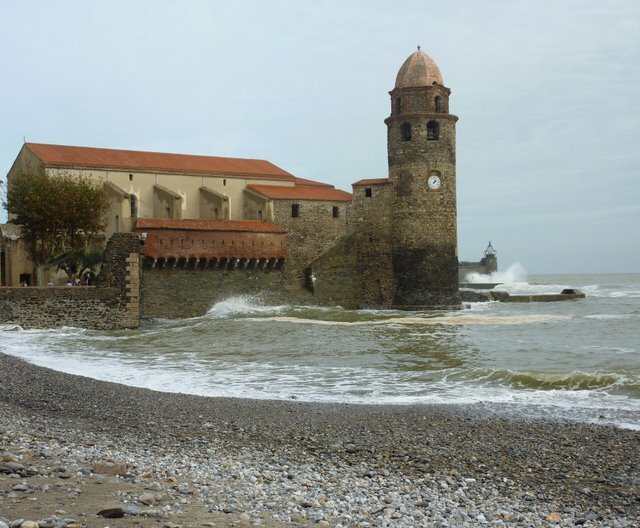 Today it is one of the most popular tourist attractions in France and touring it is a delight, particularly off-season. Throughout the summer, the Carcassonne Festival presents theatre, circuses, opera, dance and variety shows on 10 stages – and many performances are free. There are carriage rides and a tourist train if your feet get tired or wandering. Visiting a cave with authentic prehistoric drawings is, for me, one of the things you “must do before you die”. They send shivers down my back, fill me with awe, and remind me of humility in a way that great Gothic cathedrals do. 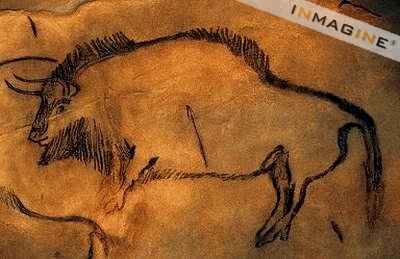 France is blessed with a richness of prehistoric cave artwork. The Niaux Cave houses some of the finest. Visits are strictly regulated so reservations are required. There are additional caves in the area as well as the Parc de l’Art Préhistorique that features reproductions of sanctuaries and paintings from other caves that are closed to the public. 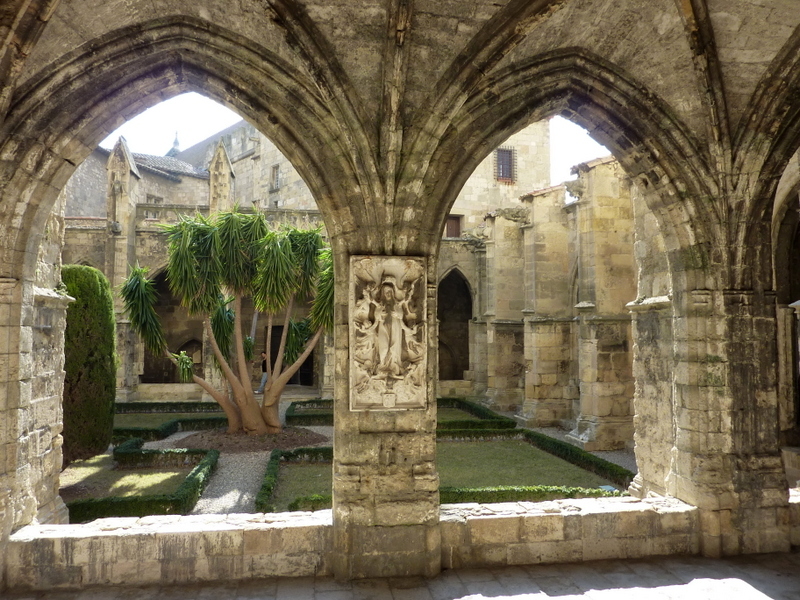 Narbonne is a city that is easy to skip on your way to Carcassonne – yet those who take the time to stop by describe it with adjectives like charming, elegant, pleasant and historic (it is over 2100 years old). Another former capital of Languedoc, the city boasts a medieval core and lively streets. 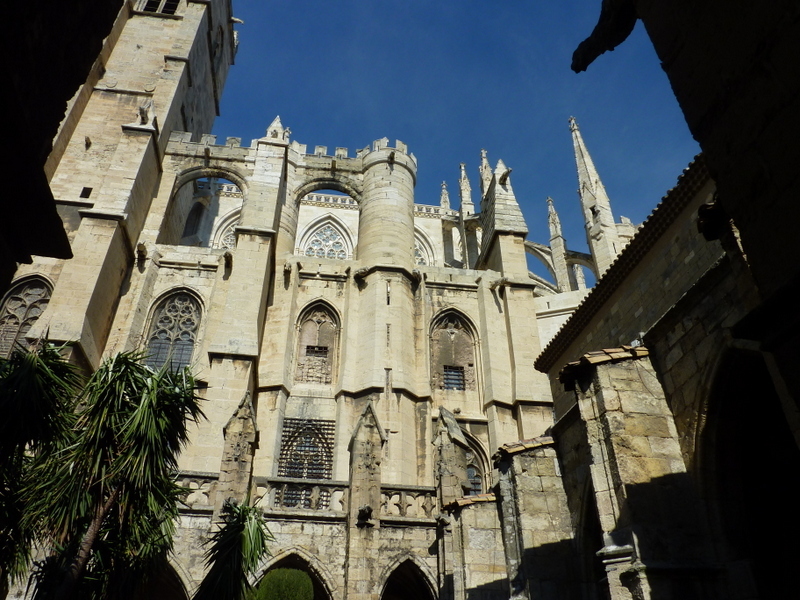 The Archbishops’ Palace combines religious, military and civil architecture from the 12th to 19th centuries. And the Cathédral St-Just-et-St-Pasteur rivals the cathedrals of northern France. 18km south of Narbonne is the Réserve Africaine de Sigean – a big drive-through (or you can walk) zoo with large areas for animals. An impressive variety of animals, always popular with the kids. 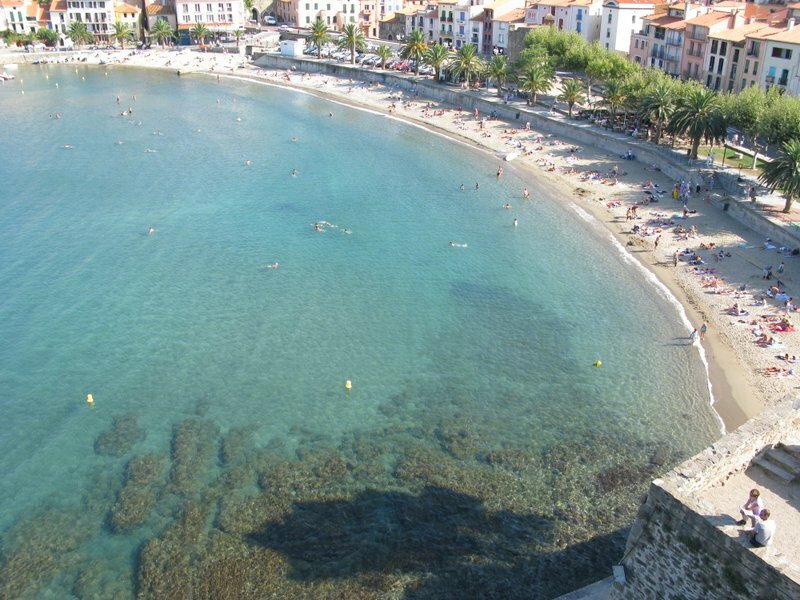 Collioure is a seaside fortress town that is simply a joy to stroll around. The steep vieux quartierhouses quaint art-shops and boutiques, and leads down to the fascinating waterfront with its cafés extended pier, and the Château Royal which is open for visitors. No better spot to sample some great seafood prepared in a typical Catalan style. Arrival at the airport in Toulouse might leave the impression of a big industrial city. It is big – France’s 4th largest, and there is industry – much of it related to aerospace. There are huge research facilities and factory complexes, especially around the airport. You can tour the Airbus facility. But Toulouse is also a university city, and there’s lots going on. The old town in the centre of Toulouse is well worth visiting with the Basilique St-Sernin (the most magnificent Romanesque pilgrimage church in Southern France), the Capitole, and the Musée des Augustins. Some great shopping and restaurants add a nice touch to your visit.